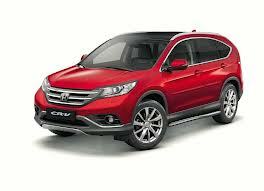 The first car to be launched by Honda in Australia in 2014 is the CR-V diesel. The petrol version of this car has been available to buy for a while, but the Australian market has been crying out for a diesel during this time. So, Honda is going to cater to demand and offer the CR-V with a 2.2-litre diesel engine that will develop a tasty 110kW/350Nm. The all-new Honda Odyssey will be available to buy in February 2014 in the US and Australia. For the first time ever it will be available as an eight-seater, and there will be a variety of engines to choose from, most notable of which is a 2.4-litre four-cylinder petrol engine. A six-speed manual will come as standard in this car. You can expect to see plenty on the roads near you. The Honda City is a very intriguing car. This is a small saloon that has been designed for town and city use. It has a short turning circle and Honda have refined the steering to be as sharp as possible so that darting in and out of traffic is easy. There will be Honda offers from Vertu Honda on the Honda City, and prices are expected to start from around $16,000 and go up to the low $20,000s. The latest generation Honda Jazz has collected plenty of awards, and in mid 2014 it will find its way into the showrooms of Australian dealerships. Powering regular Jazz models will be a 73kW/119Nm 1.3-litre four-cylinder and a 97kW/155Nm 1.5-litre. There will be a six-speed manual available as standard across the range or a 5-speed automatic. 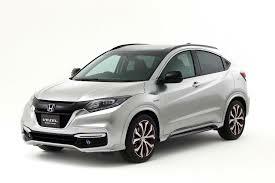 The Honda Vezel will be Honda’s subcompact SUV in 2014. It will make its way over to the Australian market in late 2014, and it’s expected to sell quite well. There will be a few different engines available, the most notable being the company’s familiar 1.5-litre four-cylinder petrol – it will be interesting to see how this engine pulls a car the size of the Vezel. Pricing is yet to be confirmed. The Honda Civic Type R is one of the most hotly anticipated hot hatches of 2014. With the likes of the Ford Focus ST and latest Volkswagen Golf GTI taking in the sales, it’s going to have to be pretty sweet to sell. Thankfully, it looks as though it will be. It’ll be powered by a 2.0-litre turbocharged petrol engine that develops in excess of 280 bhp and 250 lb /ft of torque. That’s very different to the previous generation Type R, but it’ll be good – Honda have had enough time to refine it. Vertu Honda Retford believe that this will be the hot hatch to beat in 2014.